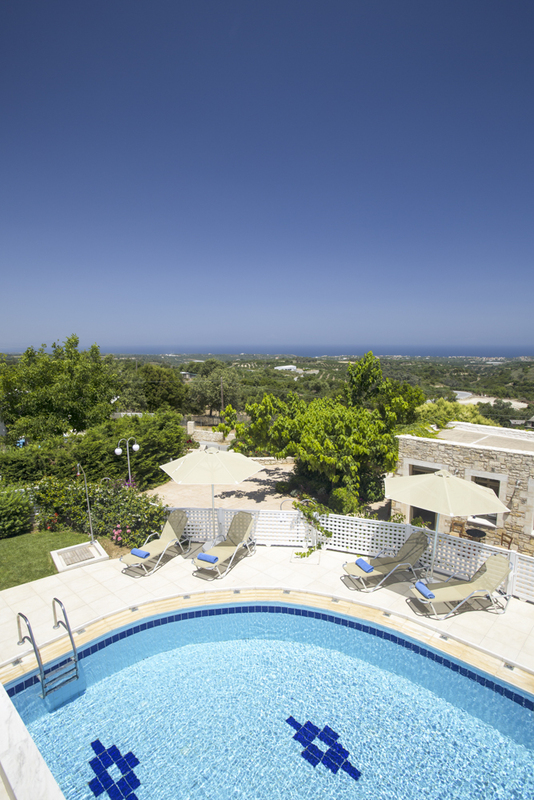 This not-to-be-missed four-bedroom villa enjoys an ideal location for exploring the historical sites and beautiful beaches of Crete and boasts charming views of the island, perfect for enjoying the sunsets each evening. 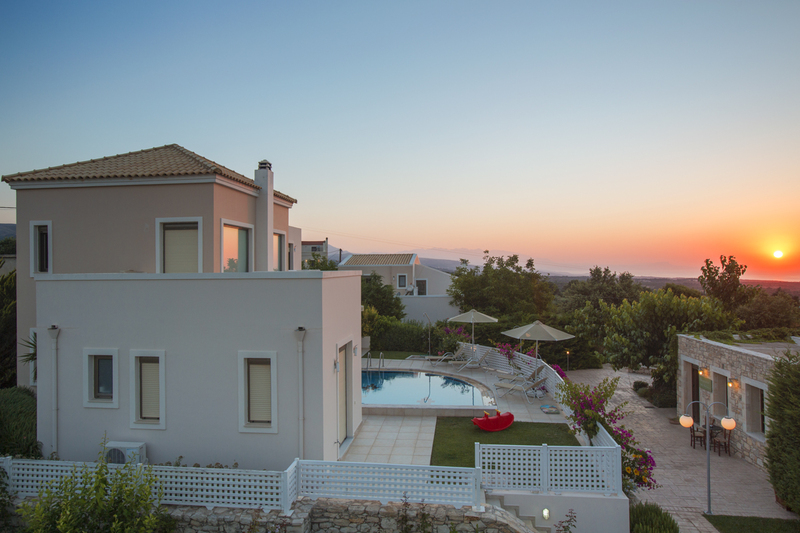 The villa is situated in the appealing village of Skouloufia, just 17km from the popular town of Rethymno; the third biggest town in Crete. The villa stands out for its elegance and carefully balanced indoor and outdoor spaces. 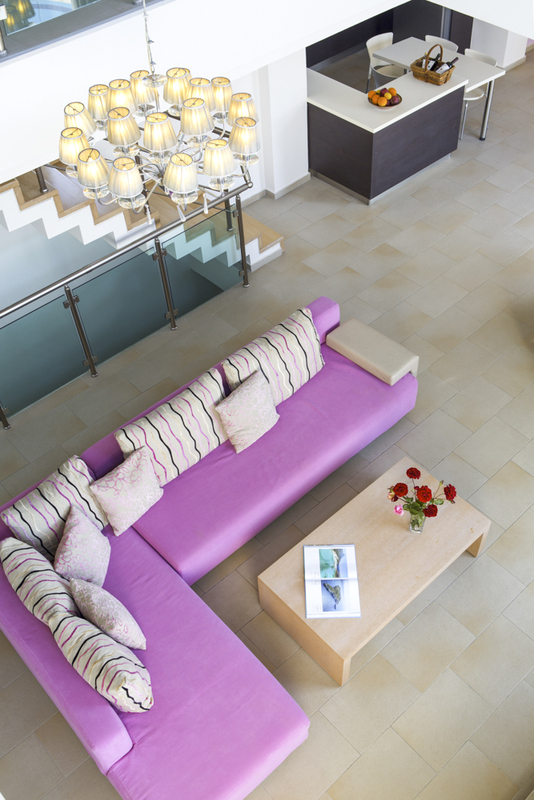 Boasting stylish furnishings and modern facilities, there is everything you need for a comfortable, relaxed stay. Many of the great luxuries include open-plan and double-height living areas which create a bright interior environment while allowing the lucky guests to catch glimpses of the incredible surrounding landscapes and bright blue sky from almost every corner of the house. On the ground floor, with patio doors opening to the terrace, the modern kitchen is the heart of the home. Open-plan to the double-height lounge and dining area, this well-equipped space is perfect for whipping up some delicious meals, with the hardest decision being whether to dine inside or out! 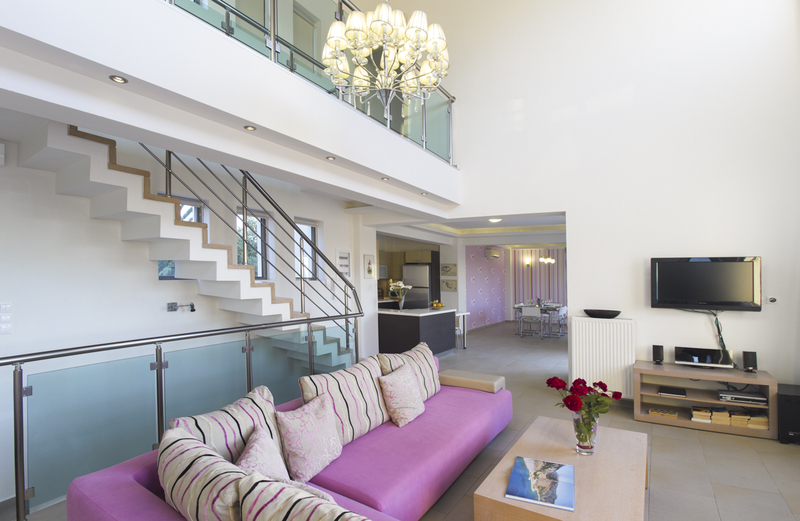 The lounge is the brightest space in the house, with a large L-shaped sofa offering room to put your feet up and relax. On this floor there is also an en-suite twin room. 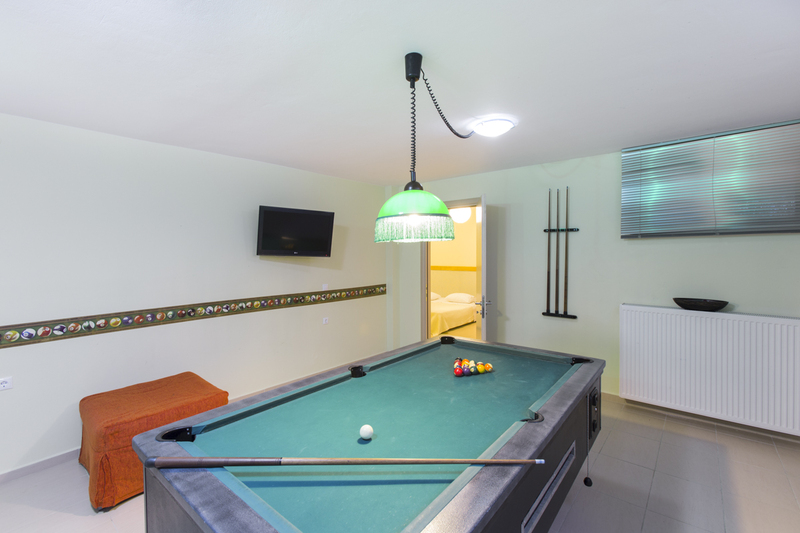 Downstairs in the basement, you can enjoy the play room with its full-sized billiards table and a second en-suite twin bedroom, recommended for children. 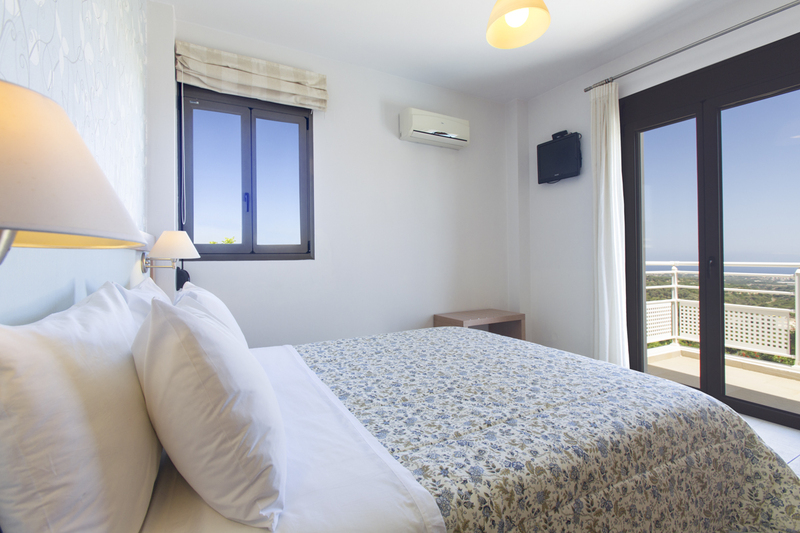 The remaining bedrooms can be found on the first floor, including a spacious double room and a single room. There is one large, luxurious bathroom with a Hydro Jet Massage, perfect for easing off your muscles. 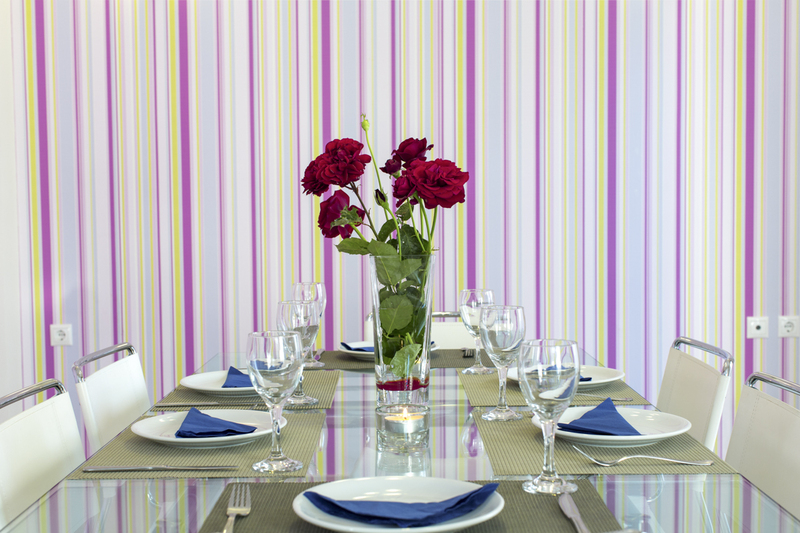 Outside on the terrace, whether it is day or night, you can gather around the dining area and enjoy the relaxed, social atmosphere with a chilled glass of wine each. Whether you are cooking up a storm on the barbecue, splashing in the pool or reading your book on a sunbed, there is space for the whole group to relax and enjoy each others company. Situated on the north coast of Crete and 17 km away from Rethymno, the third largest town of the island, the historic village of Skouloufia is located almost equal distance of the international airports of Chania (CHQ) and Heraklion (HER). This charming village is surrounded by nature paths, perfect for exploring the stunning scenery of Cretem and the long sandy beach of Stavromenos is just 7km away. Rethymno itself is a beautiful town, with bustling shops and restaurants, as well as a picturesque beach. You’ll find the renowned Venetian Harbour filled with coloured fishing boats and lined with tavernas, bars and restaurants. Look out for places serving freshly-caught seafood or classic Greek dishes like souvlaki (tender cuts of meat) and moussaka. The Sacred Monastery of Arkadi is closely connected to the village of Skouloufia, located about a 15-minute drive from the villa. This holy spot is a peaceful oasis of golden stone buildings and flower-filled courtyards. From here, you can walk through fields and meadows to the village of Pikris and stop for lunch. Melidoni Cave is also a must visit; a place of stunning, natural beauty and great historical interest. This ancient, beautiful and decidedly spooky cave with its terrible history is well worth exploring, full of stalactites and a small alter that speaks eerily of the past. The entry cost is very affordable, ideal for an afternoon trip. The ancient town of Elefterna and its brand new museum, is also located just 3 km away. In this way Skouloufia offers the perfect base for exploring this ever-fascinating island of Crete.